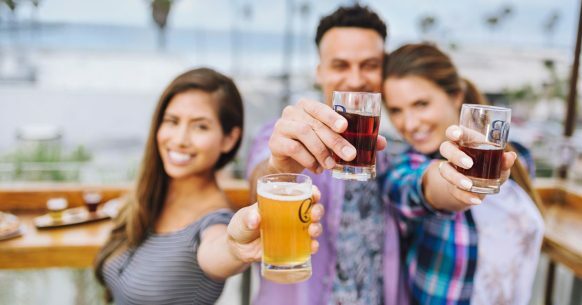 Spend the upcoming weekend in San Diego enjoying everything California’s Beach City has to offer including Beer Week and these top things to do. It’s time for an encore! Four weeks of elite Thoroughbred racing, fresh events and musical performances to keep the good times rolling. This nostalgic season will present superior racing along with a lineup of engaging events during the four-week run. From concerts to college day and Thanksgiving. The island itself will provide the magical setting for four jam-packed days of parties, panels, exhibits, workshops, Special Events, celebrities, live performances, new films, filmmakers, treasured classics, interesting venues, awards, tributes, blooming gardens, beach walks, sunsets, friendly locals, and shops and restaurants for every taste, along with a wide variety of films by filmmakers from every level of the craft, from emerging student to seasoned pro. While Stone has long had a reputation for brewing hop-forward IPAs, we’ve always had a deep appreciation for the glorious dark side of beer. If you’ve attended our Oakquinox or Pour It Black events in the past, we’ve combined them both into one massive celebration of the finest stouts, porters and barrel-aged delights. See over 4,000 Veterans, Active Military, Bands, Floats and Civic Groups celebrate Veterans Day with the San Diego Veteran’s Day Parade. Amid the commotion of the holidays, Staff Sergeant Mike Randolf returns from Afghanistan and home to his family. But before Mike can open his heart to the joy and spirit of the season, he must make peace with the past and let go of the ghosts of the battlefield. While Mike’s wife helps him readjust to civilian life, it’s their precocious young daughter’s sweet search for the true meaning of Christmas that leads the family toward healing. There is no better setting for the closing event of San Diego Beer Week than the Arroyo Terrace of the Lodge at Torrey Pines. The Beer Garden brings together the best of San Diego’s breweries and local chefs to celebrate the craft beer movement. With 28 breweries and 14 chefs, the Beer Garden is a truly unique and delicious food and beer pairing event. Each admission includes unlimited tasters of beer and food. The event benefits Chef Celebration Foundation and the San Diego Brewers Guild.